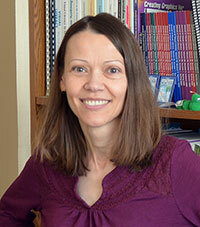 University of Wyoming Associate Professor Doris Bolliger received a Fulbright Specialist Scholarship to assist in strengthening online programs at Ireland’s Limerick Institute of Technology. “The project’s main objectives were to inform academic staff and management about approaches, strategies and opportunities pertaining to online teaching and learning, and to recommend strategies to implement the delivery of blended and online programs effectively,” Bolliger says. During her one-month assignment, she conducted a peer review of the institute’s flexible learning development plan. Bolliger developed and delivered presentations, seminars and workshops pertaining to blended and online learning environments to faculty, administration and support staff at the multi-site campus (Limerick, Thurles and Clonmel). Additionally, she provided training opportunities to other regional academic institutions and delivered a keynote address at the annual Blended Learning Special Interest Group Showcase held at Mary Immaculate College in Limerick, Ireland. Bolliger teaches undergraduate and graduate-level courses in the UW College of Education’s Department of Professional Studies. She received a Bachelor of Science degree (1991) at Missouri’s Park University; a Master of Arts (1995) at Maryland’s Bowie State University; and a Doctor of Education at the University of West Florida. Administered by the U.S. Department of State, the Fulbright Specialist program supports short-term collaborative projects at eligible institutions in more than 140 countries worldwide. The shorter grant lengths give specialists greater flexibility to pursue projects that work best with their current academic or professional commitments.